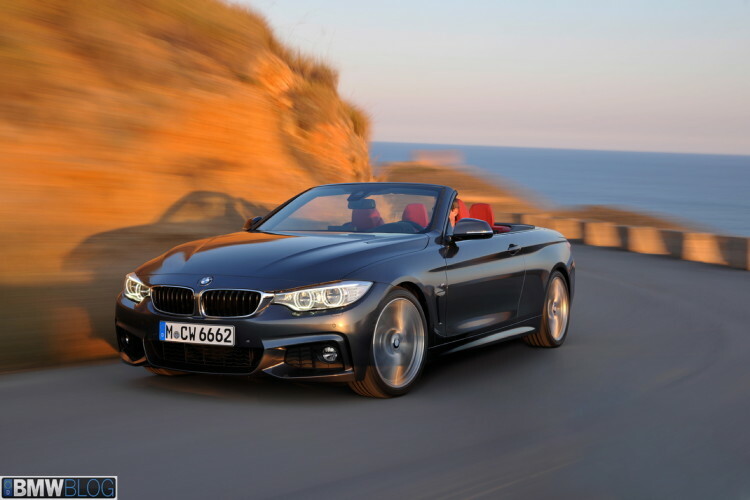 At market debut, the new BMW 4 Series Convertible will be offered with the optional M Sport Package. Pictured below it’s a BMW 435i Cabrio M Sport Package painted in the beautiful Mineral Grey color. 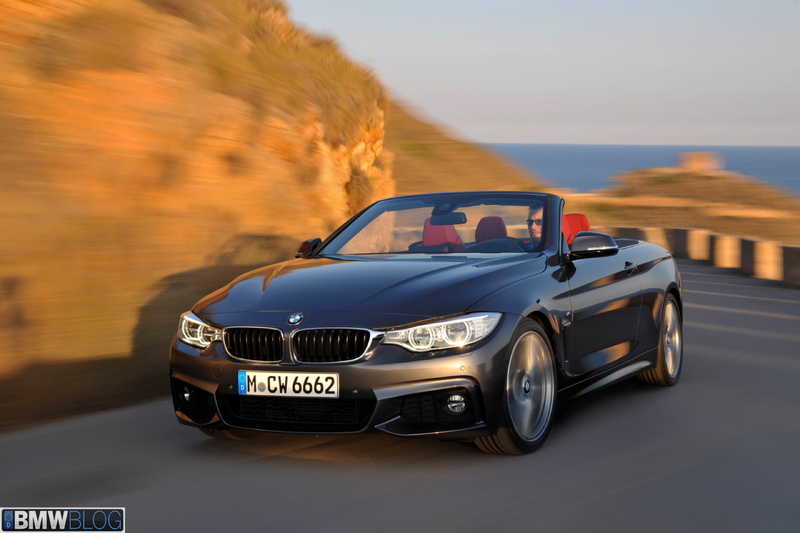 In the U.S., the 2014 BMW 435i Convertible will have a starting price of $55,825. The price for the M Sport Package has yet to be announced but in Europe it will cost 5,200 euros. The aerodynamic package includes numerous body components such as the front apron with large air intake, the rear bumper with diffuser, and the eye- catching side skirts. As with all the new BMW M Sport models, on the side, the BMW 435i Cabrio sports the ///M emblem. Included in the package is also the BMW Individual High-gloss Shadow Line trim and the exclusive optional exterior paint Estoril Blue metallic. The car can be ordered with 18″- or (optionally) 19-inch light-alloy wheels designed by M.
Inside the car, features such as M door sill finishers, an M leather steering wheel and an M driver’s footrest shape the sporty yet elegant ambience. The driver and front passenger can settle into the exclusive sports seats with M piping and royal blue contrast stitching.